Social media marketing app, social media services and SEO agency. Get facebook likes, twitter followers, Instagram and Pinterest likes, Google plus one votes. 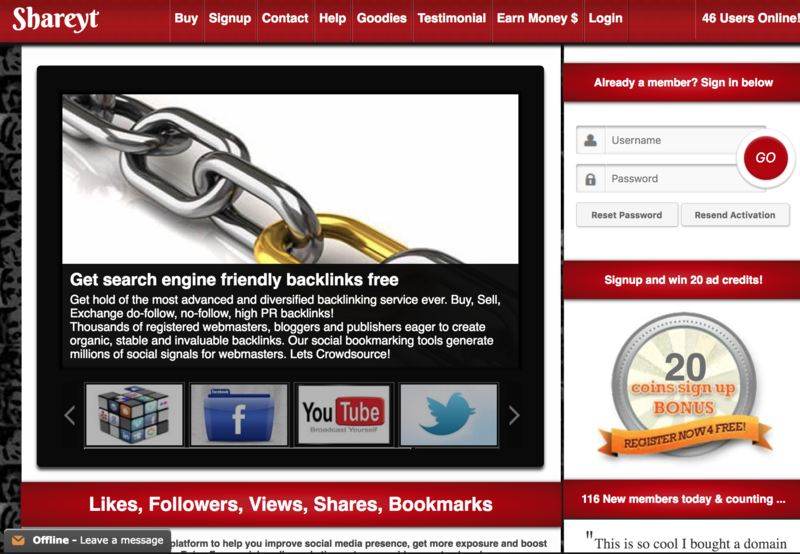 Utilize social exchange for free bookmarks from stumbleupon, reddit, diigo, delicious, linkedin, tumblr. Increase youtube views, subscribers, promote etsy shop, get website traffic, earn money from social shares!